Australia has big plans, regarding their future in the Eurovision Song Contest. 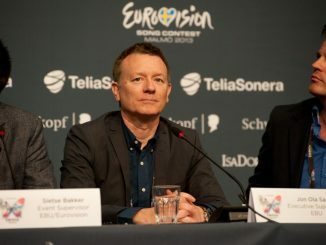 Head of Delegation (HoD) Paul Clarke exclusively informed ESC Daily that Australia is planning a national final, should Australia stay in Eurovision. If Australia indeed gets to take part in Eurovision in the upcoming years again is still unsure. Earlier, the Australian delegation already issued out their wish to get a permanent status as a participating nation in the contest. After host broadcast NTU called out for volunteers to be available to help at the Eurovision Song Contest 2017 in Kiev, which we covered on ESCDaily.com, already 1500 volunteers applied in the first 24 hours! For the first time this year, press is not allowed at the Euroclub after hectic rehearsal days. This decision was made by the steering group a while before the Junior Eurovision took place. “It’s the best for the competing children,” Executive Supervisor Vladislav Yakovlev has stated. I really hope that Australia will organise their own national final and welcome to ESC to stay… and thanks for the brilliant songs – especially Dami Im – last year. Belgian greetings. Personally, i am all in favor of Australia being allowed to compete permanently at Eurovision. They seems to enjoy it so much. Even better, their average ratings gives them 5th place. Well done, and welcome Australia. As an Australian, I actually wish we weren’t in the ESC. I have been a fan since 2003, and just love the absence of Anglo influence (except for the United Kingdom, of course).